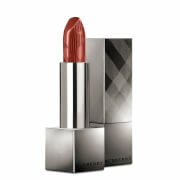 This super creamy lipstick boasts a pigmented colour that is designed to glide on your lips effortlessly. Marvelous Moxie Lipstick from bareMinerals gives your lips full coverage with a rich, satin finish that stays put all day and night. Working to give your lips a fuller, more voluptuous look, this lipstick is enriched with minerals that will give you a show stopping pout. Formulated with Abyssinian Oil and Omega Fatty Acids for supple, baby-soft smoothness, Marvelous Moxie Lipstick is sure to become your favourite. 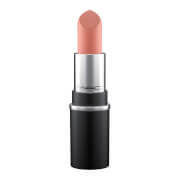 i really like this lipstick it's smooth not greasy and has a high pigment im glad i received this product in the beauty box , the only thing i can fault it on is that it doesnt last very long and can smudge easy , but other than that it's a great lipstick! 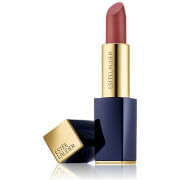 This is an amazing lipstick! It gives super hydration to your lips and it makes you reapply even though the colour stays on for a long time. The first time I tried it on it made me want to buy almost all the colours. This is a lovely creamy lipstick. For once, I don't have dried out lips that peel as when I use commercial over the counter brands. I can guarantee, if you buy this, you won't change the brand again. I currently have two shades and both are gorgeous. They glide on with minimal effort and are rich and creamy with an intense colour. Would definitely buy more colours. I ordered 2 lipsticks. They arrived promptly and do actually stay on my lips longer than most I have tried, like many of the other reviews stated. I liked the lipstick, it does not contain harmful substances, good color saturation, excellent resistance throughout the day. I love this brand of makeup is very stable and my face is not damaged by the use of these products, and there is no extra flavors in these products.